At the dawn of the sound era, Hollywood moguls sat white-knuckled and sweaty in their gleaming white offices, panicky they had spent nearly a decade molding enigmatic stars from a variety of intelligent, though hardly literate performers; some of whom did not speak English, or did, but with atrociously fractured foreign accents. Even homegrown talent was not immune to the early exaggerations of the microphone, emphasizing a thinness to male vocals, and a nattering chirpiness in women. Unaware, as yet – though not for very long – that this new-fangled device could be post-synced in an editing suite, the once wide-open advantages to shooting a silent movie virtually anywhere evaporated; the new ‘sound’ product confined to ‘sound stages’ ensuring, at least moderately, a controlled environment where the best possible source could be captured live without too much extemporaneous noise seeping into the mix. The sound era really did a number on the foundations of early American cinema; the camera now hermetically sealed in a device known as ‘a blimp’; the liquidity of ‘camera movement’ retreating into static tableaus more aligned with watching a stage play than becoming engrossed in the ‘cinema experience’. Because so many early ‘sound’ pictures fell into these artistic doldrums, it became something of a misnomer for later audiences to simply assume virtually everything from this transitional period was mundane and primitive. All evidence to the contrary in John Murray Anderson’s King of Jazz (1930); Universal Studio’s blindingly all-star musical revue. In fact, King of Jazz ‘revolutionized’ early sound recording by becoming the first feature-length film to utilize a soundtrack recorded independently from the actual filming. This was largely due to the insistence of Paul Whiteman. Universal initially fought Whiteman on this – one of many ‘progressive’ notions championed by the famed band leader and star of this plotless revue. Realistically however, they could not argue with the results; the director, able to shout commands over the blaring ‘soundtrack’. Alas, Whiteman was decidedly unsuccessful at convincing the powers that be to feature an orchestra integrating black and white musicians. Placed in its proper context, King of Jazz is a rich and vibrant legacy, indicative and inestimable of this early period in America’s non-classical evolution, later known as the jazz standard; an infectious coalescence of syncopated dance, legitimate jazz, and symphonic scoring. These musical stylings are intermingled in King of Jazz as sophisticated arrangements, diametrically opposed to elemental free-form jazz, even as the trend ran concurrent with the African-American jazz pioneers. In decades yet to follow, Whiteman’s reputation as this self-appointed ‘king’ of this movement would be ruthlessly challenged and severely maligned. The erroneous conclusion in the late 1960’s – and beyond - was Whiteman had somehow ‘watered down’ and misappropriated jazz – and worse – had made a mockery in his bastardization of the heir apparent, deliberately seeking to obliterate the contributions of black artists like Duke Ellington and Cab Calloway. Nothing could be farther from the truth. Lest we forget, Paul Whiteman and his orchestra were titans in broadcast radio by 1930; among the biggest recording artists of their generation, setting – rather than aping – a standard. It was Whiteman who commissioned George Gershwin to write Rhapsody in Blue – an irrefutable milestone of the jazz era; introduced (by the way) by Whiteman and his orchestra. Whiteman was also instrumental in bringing some of the finest jazz musicians of their day to the attention of mainstream John Q. public; jazz violinist, Joe Venuti, cornetist Bix Beiderbecke and saxophonist, Frankie Trumbauer among them. And it was Whiteman who gave The Rhythm Boys their big break; an aspiring trio whose lead singer would go on to make quite a name for himself over the next forty years - Bing Crosby. Aside: Crosby ought to have had a bigger role in the picture, warbling ‘Song of the Dawn’. A freak auto accident caused Crosby to be briefly incarcerated, the song passed along to John Boles instead. Denied an interracial orchestra, Whiteman worked the system behind the scenes to give full reign to some of the top African-American music arrangers of their day. Thus, his contributions stand as a testament to their work and inimitable styling. It is far too simplistic to dismiss King of Jazz as a quaint time-capsule music revue. Yes, it is formulaic to a fault. And yes, it represents a moment – perhaps no less than a wrinkle in time – when the epitome of chic good taste was gallantly displayed in garish hues of experimental 2-color Technicolor. Aside: for those who think this process was a failed first attempt by the Technicolor Corporation, plagued by blurry, unrefined and muddy images, this newly incarnated restoration of King of Jazz will be nothing short of a revelation. But more on the technical quality of this transfer in a moment. Artistically speaking, the musical sequences in King of Jazz are book-ended by ‘blackouts’ – perfunctory comedy sketches with punch lines more idiotic than fun. 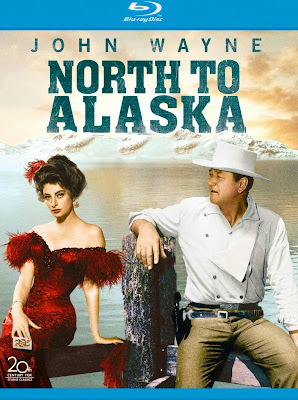 These feature – mostly - William Kent, Slim Summerville, a precocious Jeanie Lang, and as yet unrefined Walter Brennan. Still, the musical sequences are nothing short of eclectic and spectacular; illustrating an incredible array of versatile artists, sparking off one another’s collective creativity. Even the glacially paced ‘Bridal Veil’ number, with its sentiment harking all the way back to ‘simpler’ Victorian times, and, featuring the largest veil ever conceived for the movies, is a spell-binder; to say nothing of the sublime crooning of John Boles in ‘It Happened in Monterey’ and very peppy ‘Happy Feet’ that really kicks the musical repertoire into high gear. King of Jazz is a lush cornucopia – at times, heavy on the ‘corn’ – but always fascinating to watch. For the most part, the camera remains stationary, preserving a curious theatricality to the piece; unusual, because the Technicolor camera then was not housed in a blimp and therefore far easier to maneuver than it would be a few short years later when the 3-strip process debuted. Regardless of its technical ‘limitations’ the picture remains a showcase for the aces of swing, the genii of jazz, and, the maestros of movie-making magic. We get some experimental ‘overhead’ shots, in hindsight vaguely reminiscent of those later trademarked a la Busby Berkeley over at Warner Bros. But these completely lack Berkeley’s penchant for intricacy and flair for movement. Nevertheless, they serve as something of a signpost, perhaps, of where the musical genre was headed. As virtually none of the songs featured in King of Jazz is ‘jazz’ in the classical sense, what is here is nevertheless mostly melodic and fun. ‘Meet the Boys’ offers un-credited cameo performances by Harry Goldfield (on trumpet), Mike Pingatore (banjo) and, on piccolo, Roy ‘Red’ Maier, followed up by Wilbur Hall’s electric interpretation of ‘Pop Goes the Weasel’. What a treat! There is even a cartoon sequence to ‘officially inaugurate’ Paul Whiteman as ‘the king of jazz’, created by Walter ‘Woody Woodpecker’ Lantz and William Nolan, and, featuring an animated Whiteman hunting for big game in ‘darkest Africa’. Ultimately, he comes to soothe a lion with music instead, after being struck on the head by a coconut that forms a distinct ‘bump’ in the shape of a crown. The other ‘novelties’ span the gamut from the drolly sadomasochistic second chorus of ‘I Like to Do Things for You’ to the risqué Ragamuffin Romeo, a showcase for the bizarre contortionist act of Marion Stadler and Don Rose and a shameless reason to flash some frilly underwear. Remember, we are in Hollywood’s laissez faire pre-Code era; about as far removed from the moral prudery of the mid-1930’s. So, to quote Cole Porter, ‘Anything Goes’! This is certainly true of King of Jazz’s ‘Melting Pot’ finale, where immigrants from varying nationalities perform brief interludes and dances from their native lands, only to be dropped into a roiling pot, stirred by Whiteman and a few performers from the earlier sequences; everyone emerging as jazz-happy American folk ready for a night on the town. While it can hardly be inferred ‘sound’ had been perfected by 1930, the complexity of post-syncing to pre-recorded arrangements was matched by the costly ambition to photograph King of Jazz in 2-color Technicolor; a process employing red and green (but no blue) dyes. Hence, the curious (and some will argue, off-putting pastel appearance of the finished film, with a virtual absence of the total spectrum of color). Interestingly, the green dye could actually be manipulated to yield ‘peacock blue’ under the right conditions. To this end, art director, Herman Rosse and production designer, John Murray Anderson came up with some highly creative solutions; employing filters, and, testing fabrics and pigments against an all gray/silver background to exaggerate a bluish tint. When it premiered on April 19, 1930, King of Jazz was not the runaway success Universal had hoped. Indeed, its receipts fell far below expectations for so costly a production, despite the studio’s splashy affair at New York’s Roxy Theater where Whiteman and Gershwin were on tap, with a 125-piece orchestra to put on a stage show. Worse, critics mis-judged its artistry as merely being 'over produced' by a first-time director given free reign, only to run amuck and aground in his desires to create a lavish spectacle. Around Hollywood, the picture was unceremoniously dubbed 'Rhapsody in Red' to illustrate its deficits. Trimmed from 105 minutes to barely 65 for its 1933 re-issue, King of Jazz would remain largely unseen thereafter; shelved and forgotten, and presumably, unworthy of rediscovery…until now. The restoration conducted in 2016 runs 98 min. with barely 2 min. of playout music. This remains an approximation of what audiences experienced after the premiere. An important note: King of Jazz had a similar run time after the premiere as Universal trimmed certain sequences shortly thereafter. Criterion’s new to Blu release of King of Jazz is cribbing from an astonishing 4K restoration performed by Universal. Given the picture’s 80+ years, it remains a minor miracle so much of its archival 2-strip Technicolor negative, and, three surviving prints, employed to reinstate sequences cut after 1930 (this footage, presumably lost for all time) have emerged in near pristine condition. Reds and greens are lushly saturated and the image sports a divine crispness with gorgeous grain and startling clarity. The mono soundtrack was restored from a surviving 35mm optical negative and, like the visuals, is light years ahead of what we are generally used to hearing from early sound recordings. 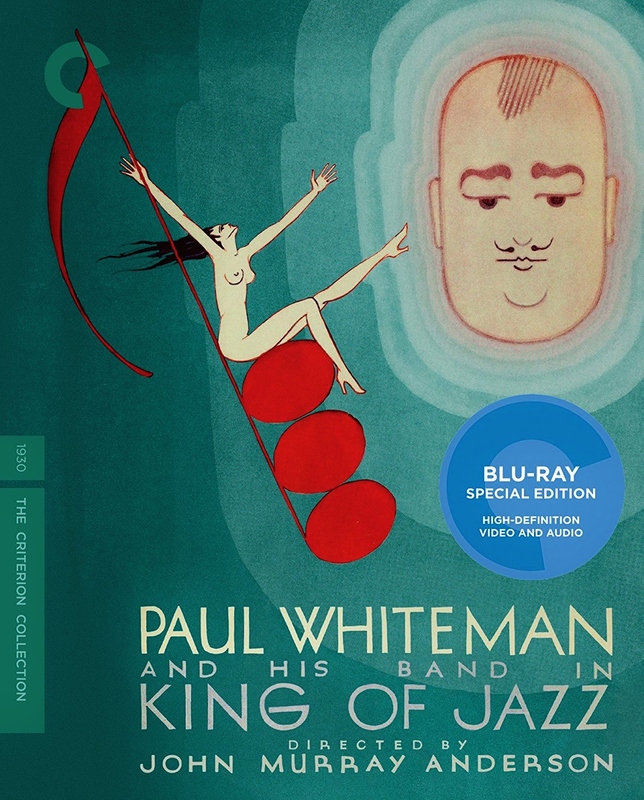 Criterion has really done their homework on the extras, beginning with the re-issue titles (they are different) and new interviews with Michael Feinstein and Gary Giddins, who aptly contextualize the legacy of the picture, Paul Whiteman and the songwriting. 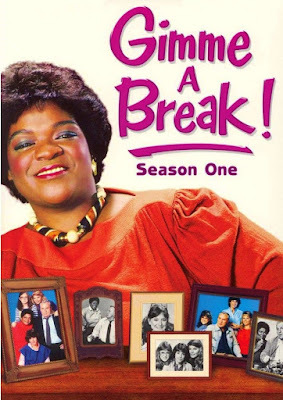 Giddins also weighs in on a superior audio commentary that is a must listen, accompanied by music critic, Gene Seymour, and musician, Vince Giordano. Authors James Layton and David Pierce offer up some highly informative video essays detailing the production. ‘All Americans’ (1929) is something of a prototype for the grander ‘Melting Pot’ finale featured in King of Jazz. We also get, ‘I Know Everybody and Everybody's Racket’; a 1933 short subject starring Whiteman and noted critic, Walter Winchell. Both have been restored to pristine condition. Two Oswald the Lucky Rabbit cartoons feature Whiteman with footage adapted from King of Jazz. Last, but certainly not least is the booklet essay by Farrah Smith Nehme, a literate and scholarly contextualization of King of Jazz’s cultural importance. Bottom line: King of Jazz is surely one of the best Blu-ray releases of 2018. Now, were that we could get Criterion access to some of the silent era’s unsung masterpieces, like Eric von Stroheim’s Greed, Foolish Wives, The Wind, and, Douglas Fairbanks Sr.’s The Three Musketeers. But I digress. Again, very highly recommended.